How many sub-users can be on each account? Where can I find how many sub users can be on each account (i.e. Bronze, etc)? 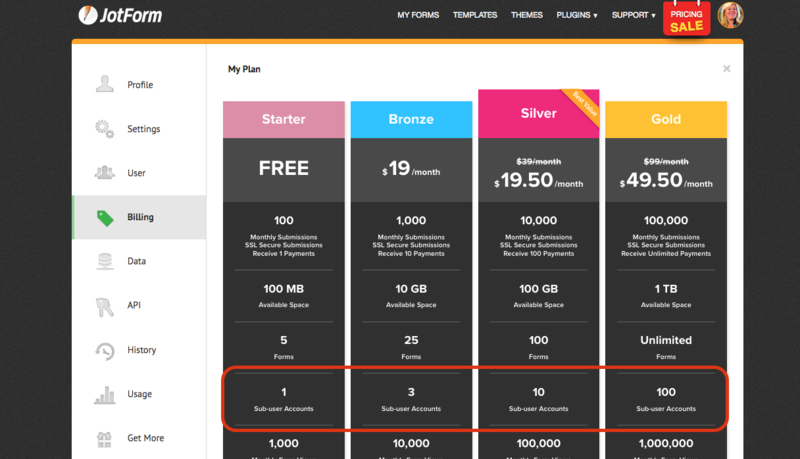 100 Sub-user accounts on GOLD plan.